Adelaide's Lament · All I Ask of You · And All That Jazz · And I Am Telling You I'm Not Going · Another Op'nin', Another Show · Another Suitcase in Another Hall · At the Ballet · Any Dream Will Do · Beauty and the Beast · Before the Parade Passes By · Big Girls Don't Cry · Bring Him Home · Capped Teeth and Caesar Salad · Castle on a Cloud · A Change in Me · Circle of Life · Close Every Door to Me · The Color Purple · Comedy Tonight · Consider Yourself · Don't Cry for Me Argentina · Edelweiss · Footloose · Getting to Know You · Hakuna Matata · Heat Wave · Hello, Dolly! · I Wanna Be a Producer · I'm Not Wearing Underwear Today · The Impossible Dream (The Quest) · It Only Takes a Moment · The Light in the Piazza · Love Changes Everything · Mama, I'm a Big Girl Now · Mamma Mia · Memory · My Junk · On My Own · People · Popular · Prepare Ye (The Way of the Lord) · Seasons of Love · Seventy Six Trombones · Springtime for Hitler · The Surrey with the Fringe on Top · There Is Nothin' like a Dame · Tomorrow · Transylvania Mania · Try to Remember · and hundreds more! 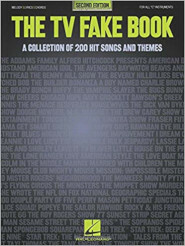 This spectacular 4th edition has been supersized to include over 500 songs and themes from 350+ films from the beginning of the sound era to today's biggest blockbusters! 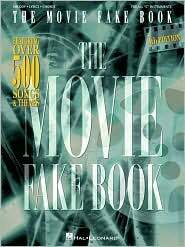 This is the ultimate source for film music buffs! Includes four different indexes. Alfie * America * An American Symphony * Baby Elephant Walk * Ballad of Easy Rider * Be Our Guest * Blue Velvet * Bohemiam Rhapsody * Born Free * Can You Feel the Love Tonight * The Candy Man * Canon in D * Chariots of Fire * Cinema Paradiso * Cole's Song * Don't Cry For Me Argentina * The Dreame * Driving Miss Daisy * Easter Parade * Endless Love * Exhale (Shoop Shoop) * Happy Holiday * Heart and Soul * Help! * Hopelessly Devoted to You * Il Postino (The Postman) * Isn't It Romantic? * It's Only a Paper Moon * Kokomo * Love Me Tender * Mission: Impossible Theme * Moon River * Que Sera, Sera * The Rainbow Connection * River * Theme from Schindler's List * Tears in Heaven * That Thing You Do! * Unchained Melody * Viva Las Vegas * The Way We Were * When I Fall In Love * A Whole New World * You Must Love Me * and more. The Bare Necessities * Be Our Guest * Beauty and the Beast * Can You Feel the Love Tonight * Circle of Life * The Climb * Colors of the Wind * Do You Want to Build a Snowman? * A Dream Is a Wish Your Heart Makes * For the First Time in Forever * Go the Distance * Happy Working Song * He's a Pirate * How Do You Know? * I See the Light * Immortals * King of New York * Lava * Let It Go * The Parent Trap * Part of Your World * A Pirate's Life * Reflection * Seize the Day * Some Day My Prince Will Come * True Love's Kiss * Under the Sea * When I See an Elephant Fly * When She Loved Me * When Will My Life Begin? * When You Wish Upon a Star * A Whole New World * Winnie the Pooh * Written in the Stars * You Are the Music in Me * You'll Be in My Heart * Zip-a-Dee-Doo-Dah * and many more. 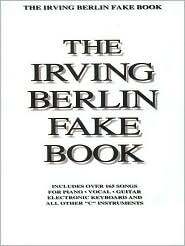 Irving Berlin wrote hundreds of songs that have withstood the test of time and are just as loved and appreciated today as they were when they were first performed. This outstanding collection features over 165 Berlin songs - from Broadway to Hollywood hits - and will certainly become a must-own reference for any musician or Berlin fan. The Addams Family * Alfred Hitchcock Presents * The Benny Hill Show * The Beverly Hillbillies * Bewitched * Bonanza * The Brady Bunch * Cheers (Where Everybody Knows Your Name) * Entertainment Tonight * Happy Days * I Love Lucy * Laverne and Shirley (Making Our Dreams Come True) * Mission: Impossible * The Monkees * Sesame Street * Star Trek The Next Generation * The Bugs Bunny Show * and more.. 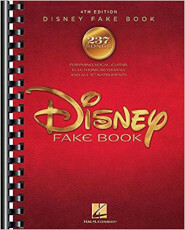 This is the first "Artist Edition" in our bestselling Just... Real Book series. Containing well over 100 songs from George and Ira Gershwin, this is an invaluable resource for all musicians and fans of the Gershwin legacy. As with all books in the Just Real Book series, each arrangement is done to the highest standards. 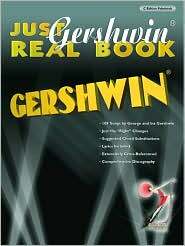 This new edition was produced with the full cooperation and approval of the Gershwin estate. Comb bound. Songs include: A Foggy Day, Bess You Is My Woman Now, Drifting Along With the Tide, Embraceable You, Fascinating Rhythm, Funny Face, How Long Has This Been Going On?, It Ain't Necessarily So, Let's Call the Whole Thing Off, Love Walked In, Oh Lady Be Good, Phapsody In Blue, The Man I Love, The Man That Got Away and many more.